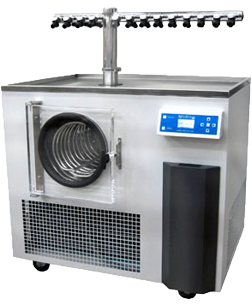 In response to popular demand, the Console Manifold Freeze dryer is a cost effective, high performance manifold freeze dryer with advanced microprocessor controls. 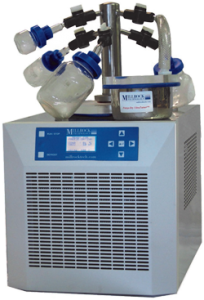 The MD SERIES Freeze-Dryer has a 20L per 24 hour condensing rate with a 30L capacity which is the perfect match for laboratories that need a quick return and fast/automatic defrosting. This manifold lyophilizer comes in two sizes: a 24 port manifold and a 48 port manifold. 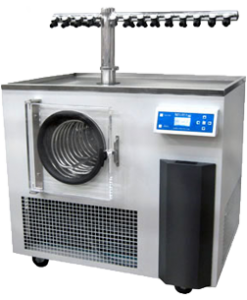 Both provide ample space for samples of various sizes to be dried simultaneously with a straight-thru vacuum valve that offers a direct vapor path. Not sure if this freeze dryer is the right fit for needs? 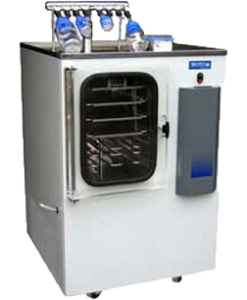 Remember this rule: for water based samples the –53 C condenser is the perfect choice. On the other hand, samples containing solvents or with low eutectic points, are best fit for the the –85 C condenser. Still want to learn more? Contact us today!